Luxury branding tactics allow companies to appeal to consumers symbolically, speaking directly to their sense of self-identity and worth. You need brand development to build a successful luxury brand. It requires the creation of a powerful, precise, and persuasive aura that surrounds your product, your story, and virtually everything else you touch. Only the most highly regarded publications receive your advertising dollars. A carefully selected, elite group of locations are the only ones allowed to sell your work. Your target market has a highly defined self-conception that is contingent on the taste and distinction they exhibit through their choice of consumer goods. A luxury brand is an icon—something that your long-standing clientele, new customers, and would-be buyers look up to. While general mall and retail fare often require an explanation, rationale, or story to make the sale, luxury brands create an iconic appeal. This is achieved by brand development that seems larger than life on a financial, social, and psychological scale. It’s about appearing bigger and better without having to explicitly state it. Simplicity is often a key component in luxury brand messaging. Just like the brand is an icon, luxury branding often uses public figures as icons. Angelina Jolie, Bono, Tobey Maguire, and countless others have been the faces of lines such as Prada and Louis Vuitton. The connection amplifies the appearance of luxury by associating it with people who themselves are seen as remote but attainable ideals. A sense of history is often highly regarded within luxury branding. After all, it’s difficult to create an icon without a history to bring the legend to life. This history needs to create rich associations in the minds of retail buyers, wholesalers, and clients, evoking historical figures, famous campaigns, or epochal moments. Another central tenet (and perhaps the most abundantly obvious) of luxury branding is that of exclusivity. Without being perceived as exclusive, luxury brands can’t control the image, distribution, or premium pricing of their products. Limited releases, a small number of retailers, or notably short product runs are all obvious methods of exclusivity. Licensing is often a taboo for luxury brands, as the financial rewards are seldom worth the risk of relinquishing control of the product’s image and distribution. Luxury branding commands a strong sense of brand loyalty. Sons whose fathers went to work in Armani suits grow up wanting to carry on the family tradition. Lusting after a Louis Vuitton bag and finally having a chance to own one creates loyalty to the brand. Luxury brands are deeply experiential. Customers who purchase luxury goods literally feel different—more secure, powerful, valued, glamorous, regal, admired, and prestigious. The loyalty that this experience engenders also allows companies to build rewarding, long-lasting relationships with their customers. This in turn enables them to confidently extend their product line, secure in the knowledge that their customers will follow them into new product areas. 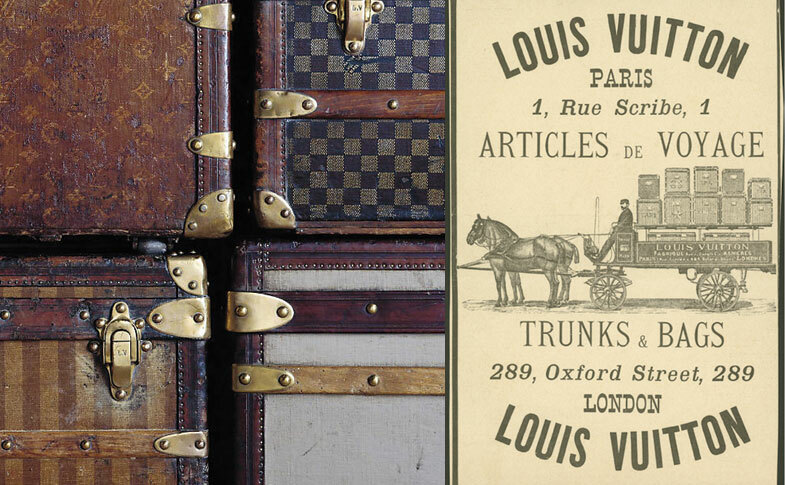 Companies such as Louis Vuitton, for example, originally sold only luggage; they now carry a full array of apparel worldwide.